Longview Half Marathon | Run S.M.A.R.T. 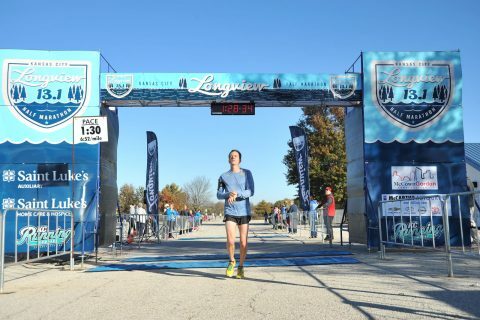 Rusty Smith finished 11th overall and set a new PR at the Longview Half Marathon in Kansas City, MO this past weekend. [Full results] This successfully completes his third training plan with us. Nailed a 1:28:30 half marathon today (52 VDOT) taking 2nd place in my age group! Another PR and great results, again, using the Run SMART training plan! Can’t thank you all enough.